The mission of the Disability Services Center/ADA Compliance (DSC) is to facilitate reasonable accommodations to students and employees in compliance with Section 504 of the Rehabilitation Act of 1973 and the Americans with Disabilities Act of 1990 (ADA). The DSC is dedicated to seeing that each individual is afforded an inclusive environment with equal access to all educational programs, in the classroom and online, and university life. It is the policy and practice of Jackson State University to comply fully with the requirements of the Americans with Disabilities Act of 1990 (ADA), the ADA Amendments Act of 2008, and all other federal and state laws and regulations prohibiting discrimination on the basis of disability. The ADA was designed to extend civil rights protection to people with disabilities. Title II of the ADA mandates that government agencies or those that receive government funds make their programs and services accessible to persons with disabilities. 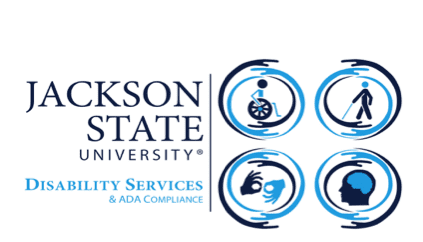 Even before the passage of the ADA, JSU was covered by the Rehabilitation Act of 1973, sections 503 and 504, which mandated that programs and services be accessible to people with disabilities. 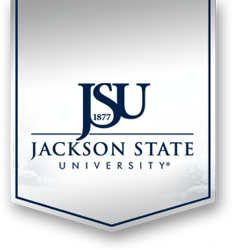 Jackson State University is designated as a "high research activity" institution by the Carnegie Foundation.